As vice president of product at Cotiviti, David Bartley drives the product development strategy for Cotiviti’s Quality and Performance solutions, working closely with sales, client services, data operations, and development teams. 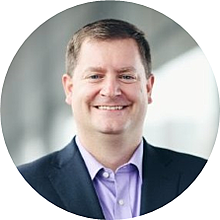 David has more than 10 years of experience leading product development at a variety of leading healthcare companies, including Humana, Healthways, and eviCore. He holds a BA in economics from the University of North Carolina at Chapel Hill and an MBA from Vanderbilt University. The June 15 submission deadline is now just barely in the rearview mirror. What were some of the most challenging components of the HEDIS season for Cotiviti’s Quality Improvement customers this year? I think the one that comes to mind the most are the changes they had around some of the measures; in particular, this year introduced a new TRC measure. It's one of the first-year measures, while MRP is a measure that's existed for quite some time. What was challenging about it is: with MRP being a component of another measure, it's the first time at least in a while that we've seen an active measure be part of another measure, and what that did for a lot of customers is it exposed some use cases where you could have compliance in one area and the measure that it was embedded within—there were other nuances that made it not compliant. It's all pretty technical, but that dynamic of new measures being introduced that are changing the way that they work. It took some adjustment for our customers, and I think some good learnings on use cases that I'm sure will factor in to adjustments we'll see next year. That was one that threw folks a little bit as we worked with them through the season. I'd say the other piece is a continued evolution that we see from NCQA toward the ECDS measures. NCQA is very big on moving toward sourcing data from clinical systems to help drive that payer-provider collaboration. And we're progressing, but we still have a way to go, and we've still seen from frustrations in how they get that data, and I suspect we'll still see some work in the upcoming season. Those are two that come to mind as I think about this past season. Was there anything different or new about this year’s HEDIS season from your perspective versus past seasons? If I were to poll our customer base, the big change this season that sticks out in everyone's mind is the shortened timeline. There was about a week push-up in the deadline for pencils down—it was May 15 last year and moved up to May 9. And then that subsequently had plan lock moving up a week. In the end, that gives auditors a little bit more time, because final submission didn't change, but plans basically had a week less to do their work. Now, I think everyone was able to adjust accordingly, I think they obviously had enough lead time on that, folks adjusted project plans and their timelines. I'm not aware of it being a significant hurdle for a lot of folks, but obviously while a week doesn't sound like much, it can make a world of difference. I think plans were feeling that this year. Now that HEDIS season is over, health plans have more resources to focus on other quality improvement initiatives, and one of them of course is the CMS Five-Star Quality Rating System for Medicare Advantage plans. Give us a quick overview of how Star Ratings work. For payers that offer Medicare Advantage plans, CMS has identified what's known as the Five-Star Quality Rating System—this is what they use to assess Medicare Advantage Part C and Part D programs, and the way that works is that plans receive stars, on a scale from one to five, for each measure based on their performance against that measure. Some of those measures are composed of HEDIS measures, some of those measures are based off of Part D prescription or Rx-based measures, but then they have several other administrative measures. And all of these measures have weightings applied to them that then roll up to Star Ratings at a domain level, or at a plan level or contract level, so it's become the basis by which consumers can evaluate how two different plans look that they have available to them. The way that it works is the Star Ratings are based off of the performance of the aggregate, so how a plan reaches three or four stars is based off of the relative distribution of how everyone else is doing. It's an interesting system in that your performance this year that achieves a certain star level is likely to be very different next year, because as all plans get better, the thresholds change. That's a big dynamic of it that plans pay attention to. They can't stand still. Because of the way this rating system works, every year they need to be looking at getting better, because if they do just the same, chances are they'll see a decline in their overall performance. Why is it important for Medicare Advantage plans to do well in the Star Ratings program? I think any Medicare Advantage plan would tell you first and foremost that Star Ratings correlate to their financial reimbursement. The better you perform, the more financial incentive that you get, and that comes in a couple forms. You get the rebates back that a Medicare Advantage plan relies on, but the better you perform, you actually receive bonus payments back. For the finance folks at a Medicare Advantage plan, they're driving for higher Star Ratings performance because it does correlate to their reimbursement. The other thing it does is it has an impact on their recruitment efforts as well. As you can imagine as a consumer, as you're looking to select your Medicare Advantage plan, all of these scores are transparent. I'm looking at my options being a three-star plan over here versus a four-and-a-half star plan, I'm more likely as a consumer to select that four-and-a-half star plan. The better you do, the better you position yourself from an enrollment perspective. And we've seen that play out. In 2018, 70 percent of all Medicare Advantage enrollees were enrolled with a plan that had four stars or higher. It is primarily about the reimbursement, but it does play a significant role in how they recruit new members. So for a Medicare Advantage plan, their goal in the Star Ratings program is to continually do better year over year? Their goal is to get better, but there's a twist to how the program works in that not all measures are created equal. It's a little complicated. As a plan looks at their improvement year over year, they have to factor in that certain measures carry different weight, and CMS looks to place focus in areas where they want to drive more improvement. That's how they will decide which measures have greater weighting than the others. The other factor that they have to think about is continuous improvement. CMS really wants to incentivize plans to always be improving, so there's a factor in certain measures of making sure that you are improving a little bit every year, not just hitting a certain level and calling it done. They want to drive that continuous improvement, so yes they do want to get better every year, but it doesn't mean that it's across the board that they can focus on everything. With all this in mind, today Cotiviti is launching a new solution for our Quality Improvement customers called Star Navigator. What will this new product enable our customers to do? The way that a plan thinks about maximizing their performance year over year—it's not easy, and Star Navigator is a product that's designed to help Medicare Advantage plans determine the most direct path to higher Star Ratings, then track and communicate their progress toward those goals. With Star Navigator, plans can have all of those measures captured in one place. It's not just claims measures; some of them are prescription measures, some of them are based off of surveys, some of it is based off of other data that they have to pull from their system. So this first and foremost is a place where they can see all of that data in one spot, and then be able to move through those measures to see where they have opportunities, look at what they expect their reimbursement to be for the next couple of years, and have all of that in a dashboard-type of view that makes it easier for them to understand, "where do I go next?" And I mentioned before that with a health plan, they can't simply just "do better." It's a little bit more complicated than that. And for any health plan, they can't focus on everything, so where do you place your priority? Star Navigator sits at that intersection of helping you identify the measures where you are most likely to improve enough to hit that next star level, and, "is it worth getting there?" So that's the balance you have to strike: place your bets where you know that you can drive improvement, but make sure that where you're driving that improvement is going to correlate to the greatest financial opportunity as a health plan. And they always have to strike that balance. Star Navigator is designed to make that analysis easier, to know where they place their bets. But that's only half of the equation. The other side of it is, once you have a plan in place, you need to take action. Star Navigator is designed to also help with that side of it, helping plans decide what's the right intervention. Now that I know these are the measures that I want to focus on, what's the right step for me to take? And part of that step—it always gets back to gaps in care. If I know these are the measures, I know this is the action I want to take, who are the members that I need to outreach to that are going to drive that performance? So we really made sure to focus on that action side of the equation with Star Navigator as well. On the intervention side, we provide recommendations on anything from a call campaign to a mailer campaign and aligning those interventions with the measure type and where you're likely to see those types of interventions have success. But the other thing that we do throughout the experience is allow you to quickly get at that member list. With any measure, the members who are gapped is what ultimately you're driving toward, so whether you're looking at a measure domain, which is a collection of measures, whether you're at a specific measure level, or whether you're at a provider or provider group level, at every point in the experience, the user can download the members that are gapped for this level that I'm looking at that I need to go and outreach, and get into a program that's going to close those gaps. 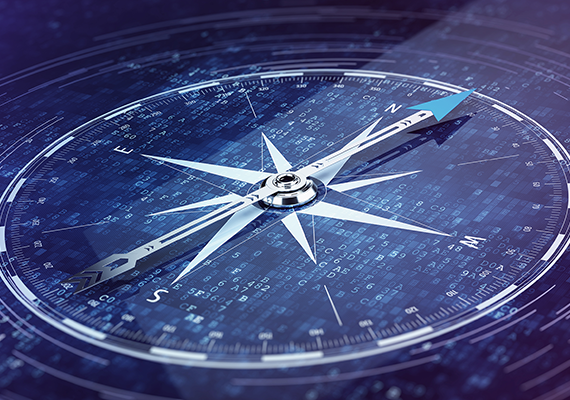 How will our new Star Navigator solution help Medicare Advantage plans improve relationships with their providers, in particular? One of the things that health plans work heavily toward is distilling the message down for a provider of the action they need to take. It starts with that member list—going to the provider and being able to easily say, "here are the members under your care that we need you to outreach to and close these gaps with." That's an easy download that they can do, but the Star Navigator application also allows them to have more of that dashboard view, so you can evaluate at a more macro level how a provider or provider group is performing. Depending on the health plan, depending on the region of the country, they may be going provider by provider. In many cases, you're working with a provider group, and in that group you've got a bunch of different providers. We have the flexibility with Star Navigator to go either way—doing a roll-up at the provider group and then working with them to say, "here's an overall dashboard of how you're performing; here are the measures that matter and how you're tracking against them," and then providing that provider group with a very detailed list of all the members that we need your help in closing these gaps on. Every health plan has a different strategy in terms of how they drive that action from the providers. Our goal with Star Navigator is to make sure that they've got the reporting they need to make that communication and collaboration effective. Download our fact sheet to learn more about how Star Navigator delivers better insights and communication to enable plans to achieve better Star Ratings results.